﻿ Heavy Haul - Total Oilfield Rentals Ltd. In circumstances where your equipment is larger than usual or over-dimensional, we have the equipment and the expertise to meet your needs. Our team of permit specialists, experienced supervisors and planners are there to anticipate any issue that your move may encounter. Our trucking fleet includes specialized trailers in an array of multi-axle configurations to better match to your loads to the prevailing road conditions. 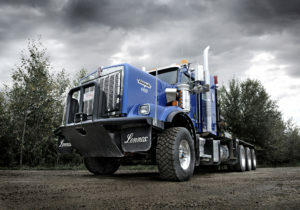 Please click here to learn more about specialized heavy hauling. Total Oilfield Rentals is a division of Total Energy Services.